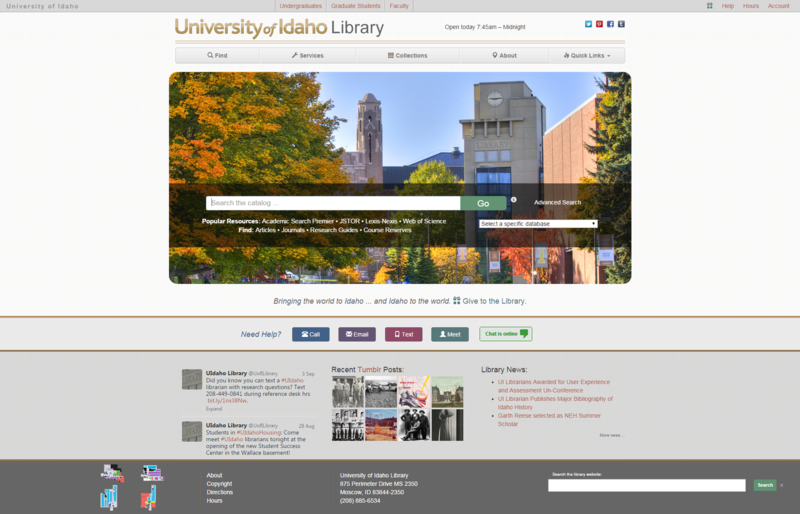 As Web Services Librarian, I led the re-design of the library website during the 2013-2014 academic year. We released the new site in August 2014. 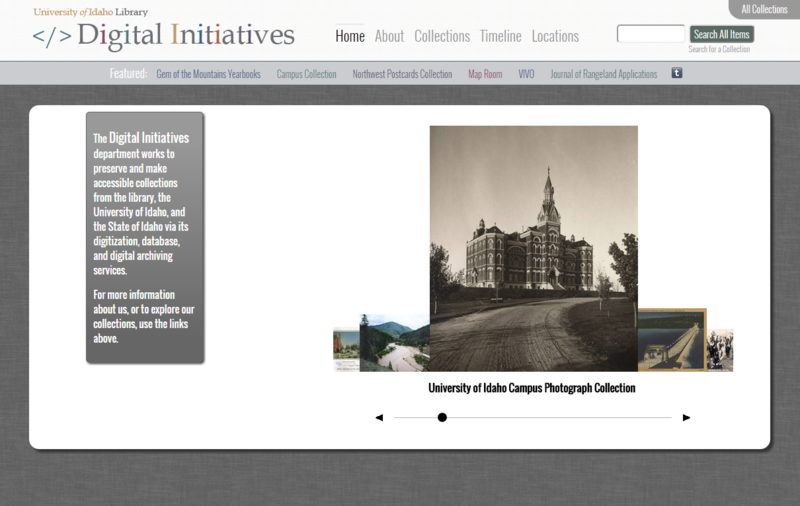 Each page is fully responsive to screen size: We used the Bootstrap framework to make a mobile-friendly website. 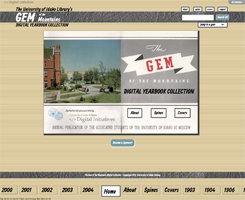 Released in the fall of 2012, this collection presents the entire run of yearbooks produced at the University of Idaho, from 1903 to 2004. Users are able to sponsor a year for a donation, and are able to digitally 'sign' their yearbook's page for free by filling out a form. 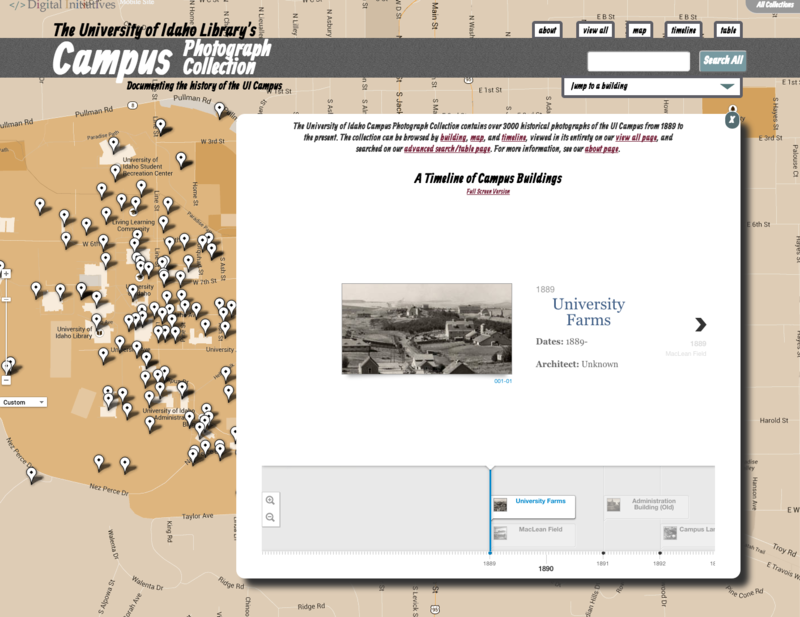 Each significant building on campus has its own page with a history, a google map location, and a cascading image gallery of all related photographs. 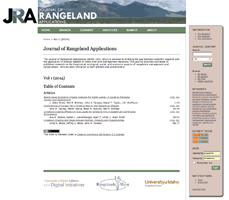 In collaboration with the Rangeland Center at the University of Idaho, my colleague Annie Gaines and I designed and released an open-access journal in the Winter of 2014. 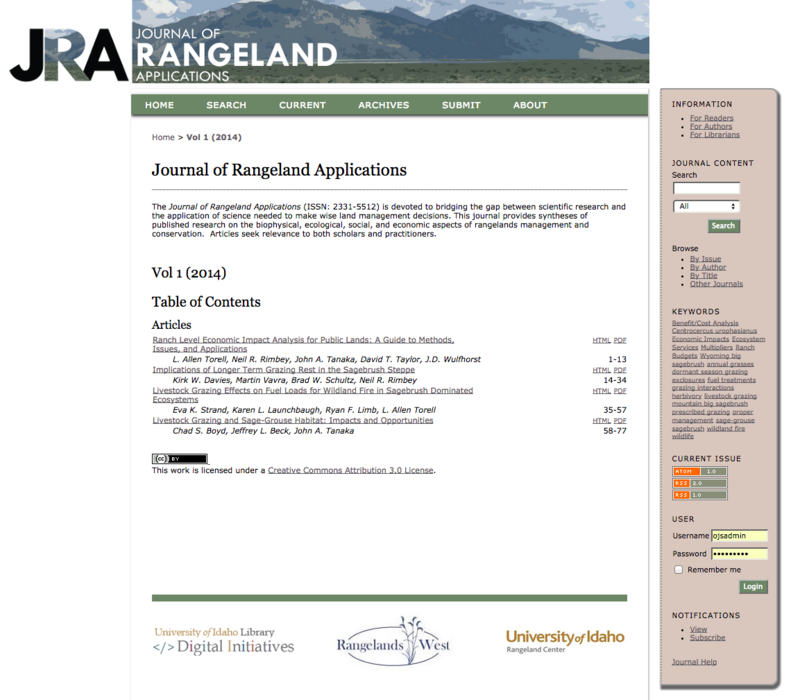 If a user hovers on a footnote marker in an individual article's HTML page, the corresponding citation will pop up. 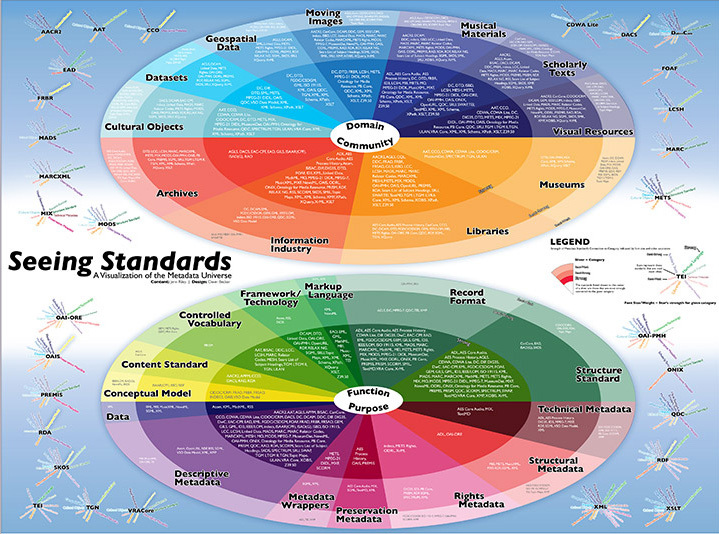 I used a database put together by Jenn Riley (now Associate Dean, Digital Initiatives in the McGill University Library) that detailed the various metadata standards and their strengths to design two visualizations. 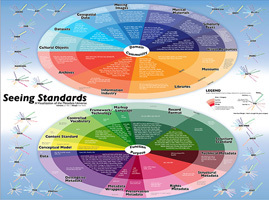 The first was a large 3' x 7' poster, and the second was the same data reduced in size so as to be included in the seventh iteration of Places & Spaces: Mapping Science exhibition. A visualization that I worked on as a graduate student was also included in the Places and Spaces, during the sixth iteration. 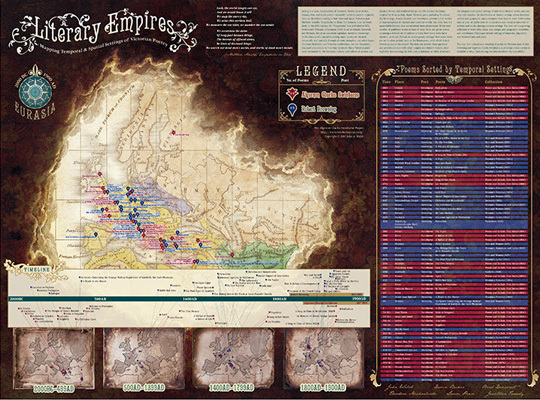 That visualization can be seen at the bottom of this page. 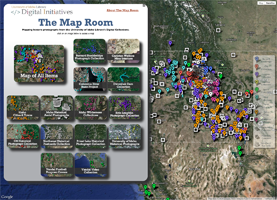 The Map Room is an interactive map allows users to browse close to 10,000 of our historical images by location. 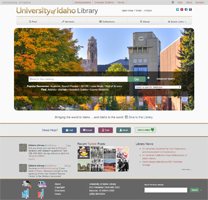 Users can also search the map, or limit the display via drop-down menus. 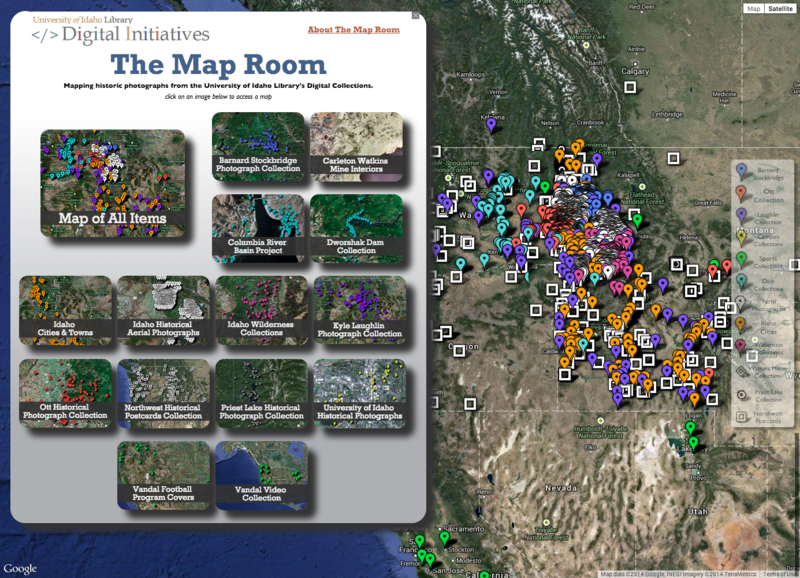 A variety of collection specific maps are available as well.